Pure Power Plant feminized cannabis seeds (PPP) grow into very potent plants with big yield and great effects that you won't ever forget. By buying this product you can collect up to 1 loyalty point. Your cart will total 1 loyalty point that can be converted into a voucher of $0.22. This kind is getting more popular each day because of its very high yield, very promising for commercial growers because the customer is hardly unsatisfied and is mostly very positive about all aspects. Nice plants with better qualities of Indica and a good yield. Pure Power Plant isn't a tall grower and has big wide leaves that can soak up the sun for all good causes, like every good indica does. She is very suitable to grow with limited space. The smell has somewhat of vanilla-wood that is smooth for your throat and makes it comfortable to smoke. The effect you get from consuming the buds is highly effective when it comes to a heavy laying stoned feeling that will keep you on the couch for hours. It is better to use it when you're already sitting down and got no plans ahead. Pure Power Plant (PPP) feminized is a hybrid cannabis strain that is bred for expert quality and commercial production. It earns the name due to its powerful smoke, dominated by the dominance of indica, though it also has a nice Sativa high added to it. It is the perfect hybrid for the next generation cannabis enthusiasts! The feminized version of PPP is known for flowering pretty fast and it produces heavy and reliable harvests of highly dense buds that are covered with a thick covering of sticky trichomes. It is a stress-free strain that is very easy to be cultivated and is notoriously known among first-time growers, experienced cultivators and commercial growers alike. While the results are good in the hands of beginners, experienced cultivators can expect truly superb yields. Every grower can be assured of an extremely good yield with plenty of firm and nice buds. This strong indica strain has a recessive sativa power, which energizes its effect, appending a good high to an unbelievably powerful stone. When these buds are consumed, they are extremely effective that can keep you locked to the couch for many hours. 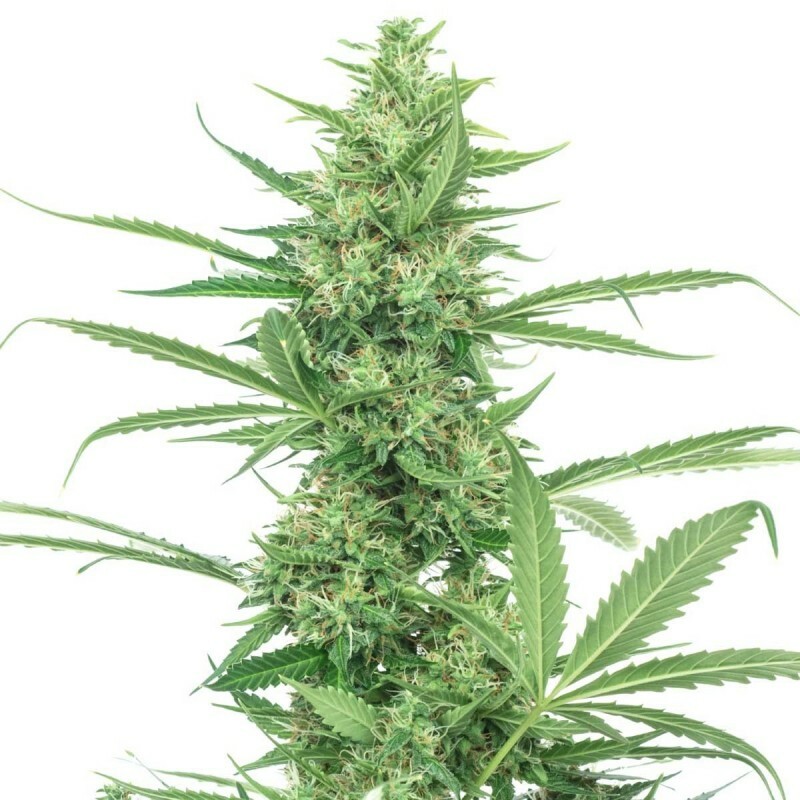 They’re popularly known as the PPP fem seeds, and they do not grow into tall plants, but have wide big leaves that can absorb the sun for good reasons similar to all efficient indicas. While smoking, they radiate smell of vanilla-wood, giving a smooth and comfortable feel to your throat. Pure Power Plant feminized marijuana seeds are well-known to be highly potent plants that have high yields and deliver an unmatched high! The growth of the seeds was impressive and finish quickly. I shopped first time with High supplies, and I will always prefer only this site for buying seeds. It got germinated within 24 hours and it’s a great high seed. It has a super classic flavor and it produces super cool sticky buds. Excellent seeds, fast shipping, great customer service. I would like to note, that at germinating phase one plant died. They do not grow so large, but building heavy, complex buds. A lot of resin there. And it gets you high pretty easy, one hit and you are ready. I' m very satisfied with quality. Not so much yield though, but isn't it so by sativa plants? Growed by the Black sea. Und wieder alles SUPER PUPER gelaufen!!! well, growth and yield were everything promised and more. From 30cm when switched to 12/12 they all exceded 1.4m but no more than 1.6, during flowering. very heavy crystal volume on all the buds and leaves. indica phenotype on all except one, consistentcy in taste and smoke across all plants. for the smoke and the smell, a little odd, not immediately "weed" but pungent and sort of piney. when smoked you get a menthol-ish taste, cold and clean right at the end which adds interest. I am growing outdoors and I have to say the growth rate on this plant is fantastic! despite a sudden cold spell occuring just as the plants regined their primary leaves halting growth for 4 days I have one plant at just over 6 inches and they all seem to be gaining leaves every day! I grow on a balcony in a warm climate and try to ensure direct sunlight from 6am to about 6pm then they get indirect light through to 8:30pm, with this schedule i have just measured 3/4inch of growth in two days! I am looking forward to harvest and will comment on the smoking qualities then, but, if its as good as the growth rate Im sure it will be splendid.